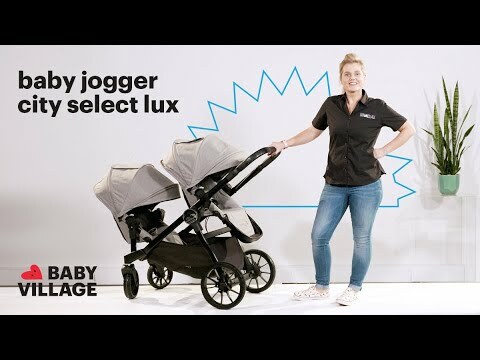 The Baby Jogger City Select LUX Bassinet offers your newborn a soft and comfortable spot to rest with a luxurious quilted interior, a large vented sun canopy (supplied with the City Select LUX Pram) with a UV 50+ rating, a pop out sun visor and wind guard to protect baby from the elements. The plush mattress pad has a machine washable cover and stays cool in summer months with an air vent in the base of the pram to increase air flow. Restrictions: Newborn to 6 months, Max. weight capacity: 11 kgs. Not intended for overnight sleeping. Compatible with the City Select LUX Pram only. Requires a City Select LUX seat to complete the conversion.